The smoke-free Comfort Suites - near the Galleria hotel in Houston, TX gives you more of the space you need to spread out, relax or work. 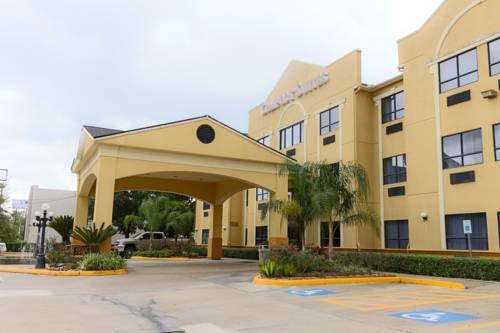 When business travel sends you to Houston, you will appreciate our services and amenities, including free WiFi, free hot breakfast, fitness center, outdoor pool and laundry facilities. We also offer on-site meeting space. Relax in our spacious suites, which feature coffee makers, microwaves, refrigerators, irons, ironing boards and convenient charging devices for your electronics. Also, earn rewards including free nights and gift cards with our Choice Privileges Rewards program.